Marijuana - Let it grow for research | Jon Katz, P.C. Three years ago, WMAL radio interviewed me opposite a doctor from the Office of National Drug Policy, about Maryland’s then-newly effective law capping marijuana possession penalties at a $100 fine plus court costs upon presentation of proof that it was for medical necessity. After the interview, a radio caller urged banning medical marijuana until studies sufficiently cleared it for safety. 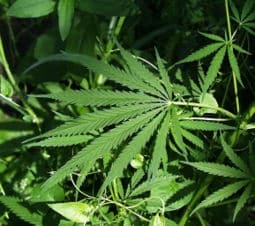 Aside from the absence of evidence that moderate marijuana smoking causes health problems any more serious than drinking alcohol (and probably less serious), another problem with such a position is that the federal government has consistently and severely limited the availability of lawfully grown marijuana to enable further research into the effectiveness and safety of medical marijuana. In fact, the United States government has only permitted the University of Mississippi to grow marijuana for clinical research. The ball is now in the DEA’s court about how to respond to ALJ Bittner’s ruling. Jon Katz.